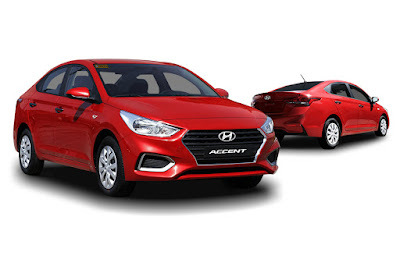 Hyundai Asia Resources, Inc., the country’s exclusive distributor of Hyundai cars and trucks unwrapped one of the most sought-after Christmas gifts this year: the all-new 2019 Hyundai Accent. First shown to the world in 2017, the all-new Accent arrives in the country building on the strength of its predecessors including an expressive design, high-tech interior, efficient drivetrain, and improved safety features. 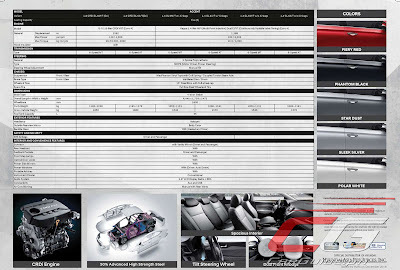 Underneath, the 2019 Accent is underpinned with a stronger platform made up of 54.5 percent Advanced High Strength Steel (up 13 percent from before). This has increased the Accent’s torsional rigidity by 32 percent. 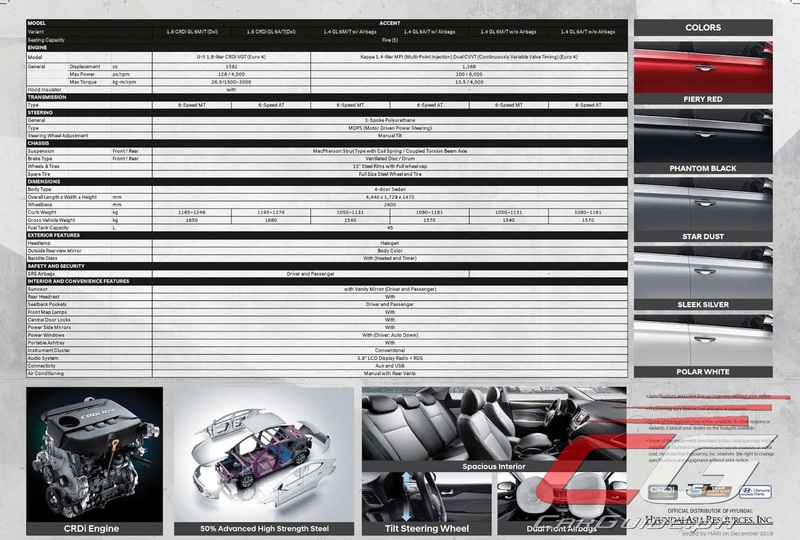 Improved ride comfort, handling, and stability are achieved through key developments in the suspension. Accent’s steering feel has been refined with improvements to steering efficiency, while enhancements to handling and ride comfort have been made by raising the rear roll center and increasing the leverage ratio of the rear shock absorbers. The standard Motor-Driven Power Steering (MDPS) system instantly adjusts to changing driving conditions for greater precision and steering feel while improving fuel economy. 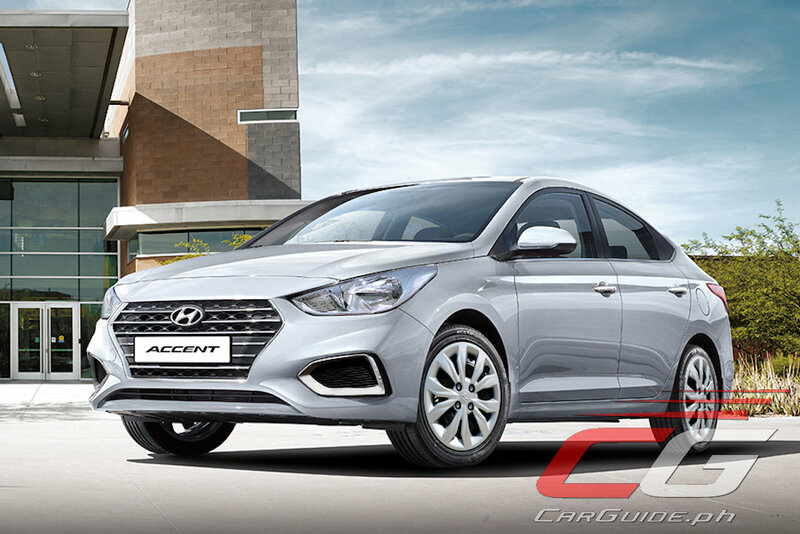 The design of the new Accent exhibits confidence and sophistication with sculpted body forms and smoothly contoured lines delivering a new interpretation of Hyundai’s signature design language. 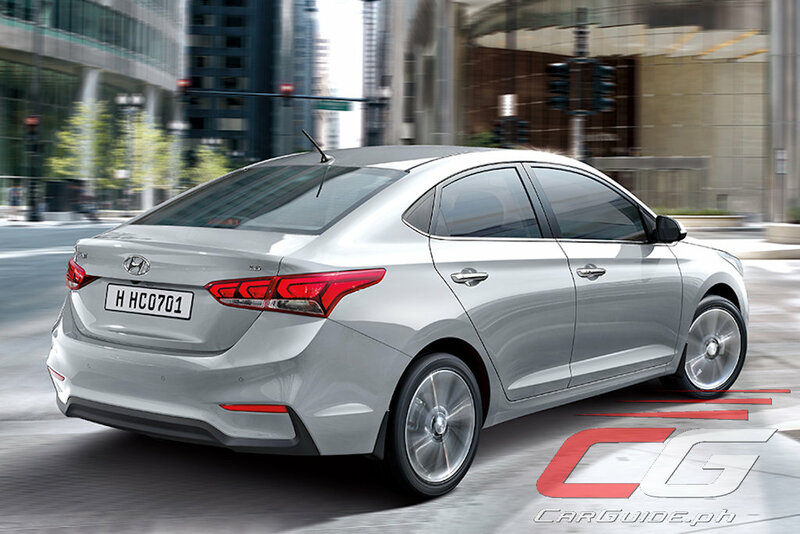 The car features Hyundai’s cascading grille, a visual signature integral to the company’s identity. Over to the side, the sweeping roof profile and sharp character lines run the length of the car. The car’s form is also functional, achieving balance between design, and engineering for standout styling with aerodynamic improvements. The underside of the car is also sculpted for aerodynamics, and a new front-lip spoiler, together with a lower ride height, contributes to Accent’s efficient design. The Accent’s interior continues the modern, confident, sophisticated look seen on the exterior. A driver-oriented layout with intuitive controls combines with improved interior roominess, high-quality materials and premium technology features to raise the standard for subcompacts. Premium, soft-touch materials in key points create an inviting and comfortable environment for the driver and passengers. 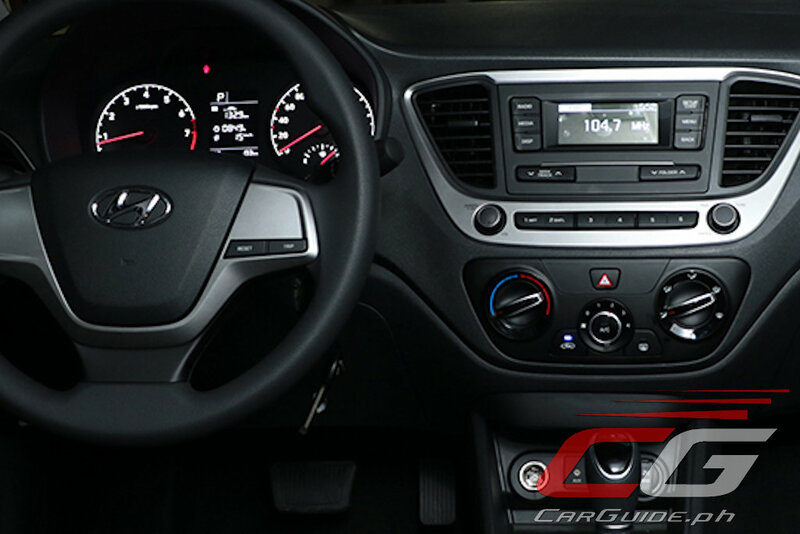 A wide instrument panel prominently features a 3.8-inch LCD display radio with RDS. Beneath the screen, the control panel is laid out in a horizontal design with buttons and controls logically grouped by function. For 2019, the Accent continues with a choice between a gasoline and a diesel-fed powertrain. For the gasoline variants, the 1.4-liter Kappa MPI engine generates 100 horsepower and 132 Nm of torque. This engine can be mated to either a 6-speed manual or 6-speed automatic. Meanwhile, opting for the CRDi diesel engine nets buyers a Euro 4 compliant 1.6-liter U-II engine. With a variable geometry turbo, it makes 128 horsepower and 260 Nm of torque. The accompanying transmission options are also a 6-speed manual and a 6-speed automatic. Finally, the 2018 Accent features several improvements to the front side members and inner side sill for improved collision protection. 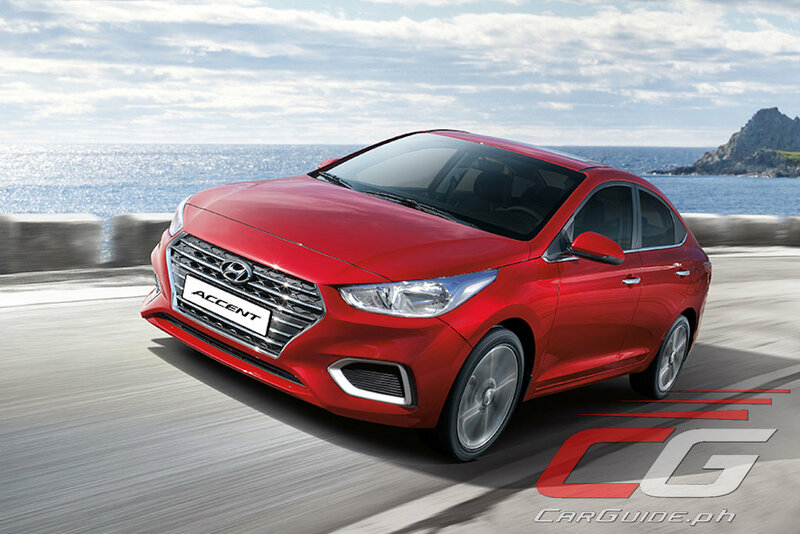 The front crumple zones have been increased, front side airbags (standard for all but the base model) have been upgraded, and reinforcements have been added to improve the car’s collision energy management performance, especially in small overlap crashes. The 2019 Accent is available in 5 shades: Fiery Red, Phantom Black, Star Dust, Sleek Silver, and Polar White. Sourced from India, Hyundai has yet to finalize the prices, but indications point to a modest P 30,000 increase across comparable current model variants. The starting price is said to be P 725,000 while it tops out at P 985,000. Dealer inventories start to arrive in a few weeks time with customer releases to start in January 2019. Basically the same car from the last model with a different sheet metal. Still lacks the basic accouterments for the price (e.g. no fog lamps, no token leather wrapped wheel, auto climate control, telescoping wheel). Some would argue that the main selling point is the engine. But value for money does not lie solely on the strengths of the engine. So Hyundai will sell a nearly P1M car without foglamps, proper infotainment and a single airbag?! Pathetic. airbags as an optional extra eh? that engine is sweet though. Its a pocket rocket and fuel miser. At 900k its a steal. You can just buy foglamps and whatever aftermarket infotainment. What's bad is if you're stuck with a car with a puny engine like my old vios. At these equipment levels? It's a fleet package special. HARI should be banned for selling unsafe cars. No ABS??? Where's the automatic climate control like in the other market does offers?